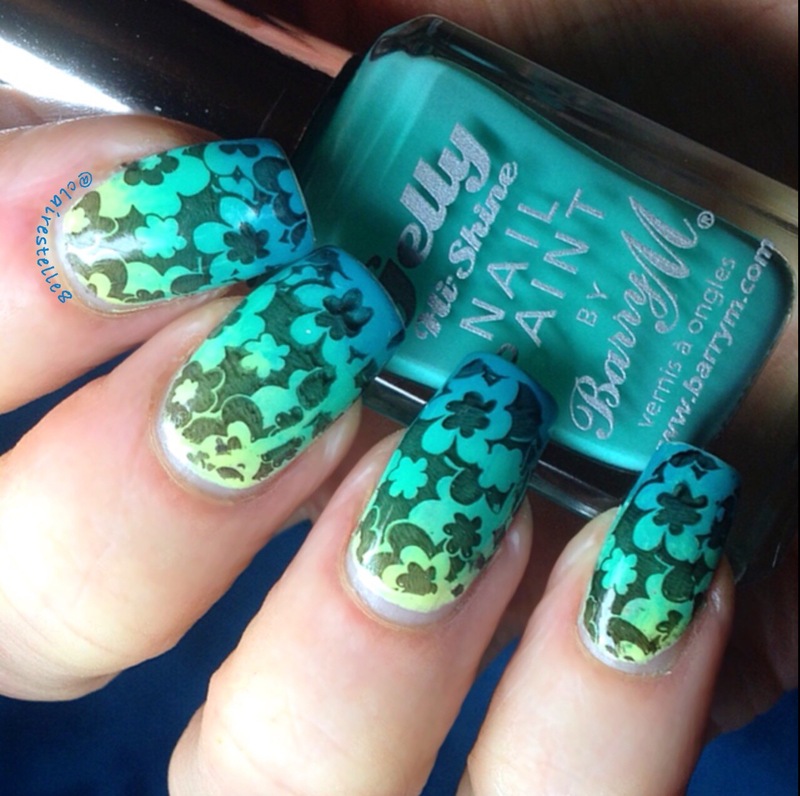 Green and gradient and stamping oh my! Okay so sometimes I can’t quite make up my mind what to do so I end up doing having a dozen things all together! And this how this mani evolved! I love Barry M gelly polishes. They are so vibrant and easy to apply but could I decide which shade of green to paint? Well no! So I decided to create a subtle gradient with Key Lime, Guava and Green Berry. And of course then I felt it cried out for stamping! So using a black polish and Moyou London Pro plate XL 23 I stamped an abstract floral design so the various colours of the gradient peeped through. I was quite please with the end result. It felt so cheery on a dreary November day. What do you think? ← Happy Birthday Mickey Mouse!